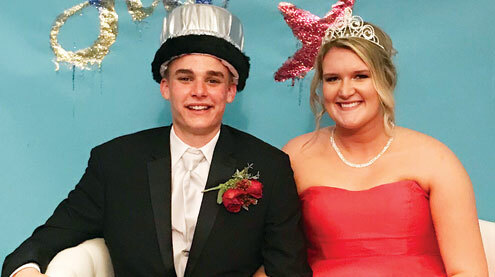 Hank Kientzy and Halle Mueller were crowned king and queen. Hank is the son of Rick and Donna Kientzy and Halle is the daughter of Mike and Elaine Mueller. Find court photo on page 12 of this week’s edition.